In September, I took a month-long trip to Europe, on which my family and I got to go around eight different cities. It was amazing, but also tiring as we took the train to get to each destination. That meant we had to be mobile, so my “beauty regime” had to be fuss-free. 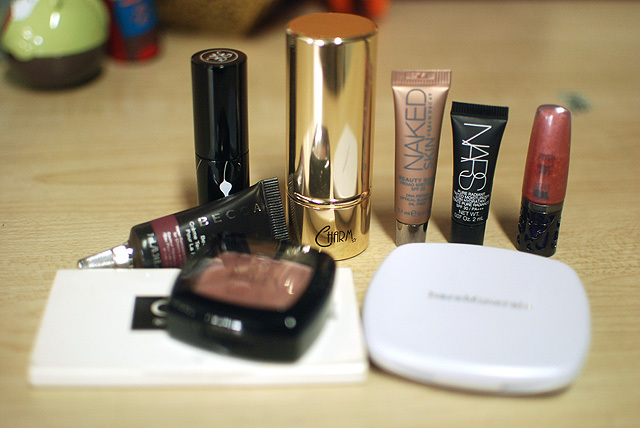 This was relatively easy for me, as I wasn’t really that into makeup just yet. It all fit into a little Clinique bag. 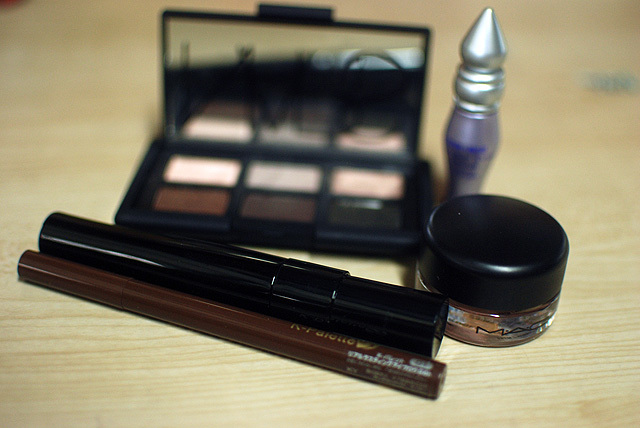 On the trip, I bought an eyeshadow duo, two singles, a lipstick, and an eye pen. 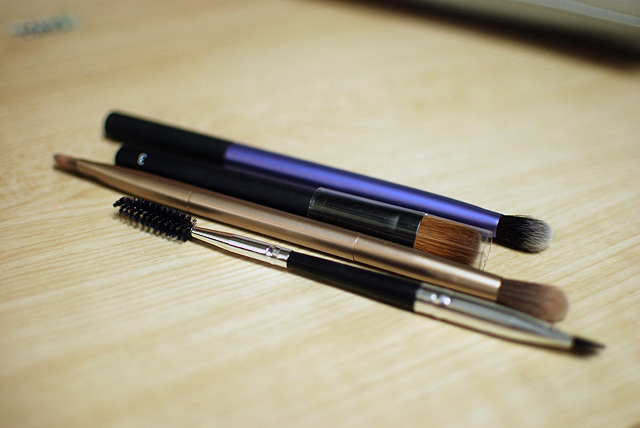 Part of me is a little grateful that I wasn’t all that into makeup then because I would have hated bringing all those delicate~ items around the trip. As of print, I’ll probably be in Japan already, so I thought about making a blog post on what I did end up bringing this time around. 🙂 I’ll be gone for a total of eight days, and we’ll be switching hostels twice (so, we’ll be staying in three all in all). Taxis are expensive there, so we will be bringing around our stuff on the train, which means I have to pack light! This list changed up a lot. I wanted the most economical in terms of space and I think I did pretty good for a week-long trip! 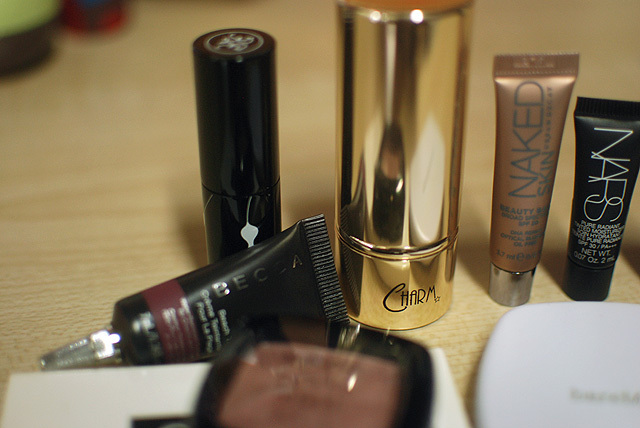 Let’s start with my eye stuff! Here’s everything, but I’ll divide stuff into two parts. Travel-friendly palettes are a must! If you can fit it into your carry-on purse, then that’s better. For this trip, I’ve chosen to bring my new NARS palette, And God Created the Woman, which has six neutral shadows and a range of finishes. Snug as a bug! I kind of want to bring my Urban Decay Naked 2 Palette, but I’m not sure how travel-friendly it is and I’m not in the mood to coddle eyeshadow palettes. Another great alternative is the Urban Decay Naked Basics Palette. It has no shimmery shades, so if you want that pop of shimmer, you can bring an eyeshadow single or another small palette like MAC’s Naked Lunch or Wet n Wild’s Walking on Eggshells Trio. Eyebrows: K-Palette 24H Real Lasting Eyebrow Pen. I was going to bring my eyebrow kit by The Body Shop, but this option is way more space-economical. 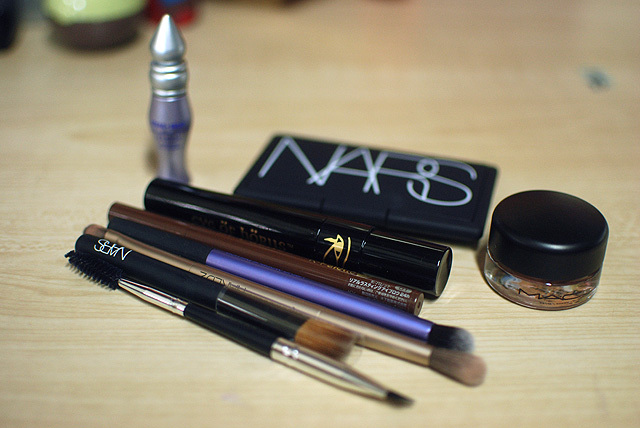 Eye Liner: I will use the darker shades in my palette. Real Techniques Domed Shadow Brush from the Travel Essentials Kit, NARS No 3 Eyeshadow Brush from the And God Created the Woman Set, Urban Decay Double Ended Eyeshadow Brush from the Naked2 Palette, Marionnaud No 38 Dual Ended Slanted Eyeline and Eyebrows brush. Here’s the next part with the cheeks, face and lip makeup! I really needed to cut back on the stuff I wanted to bring so this is as basic as I can get. 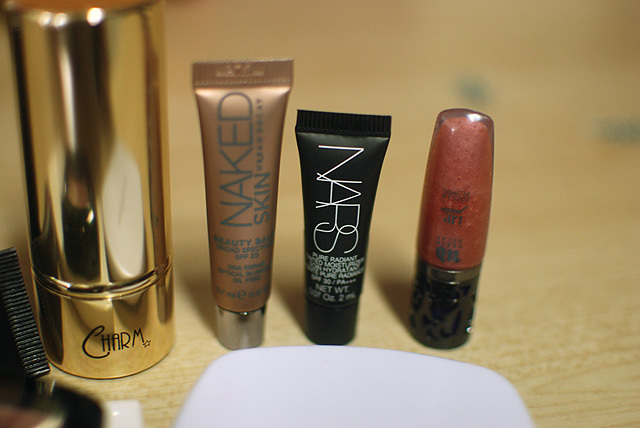 Bases: NARS Tinted Moisturizer in Alaska and Urban Decay Naked Skin Beauty Balm, sample size. I didn’t want to bring anything bigger and these were my only options. Plus, I wanted to use up all these samples! Lipgloss: Urban Decay Lip Junkie in Naked, sample size from the UD Naked2 Palette. Blush: NYX blush in Raisin. It took all of my willpower to just bring one! Seriously. All of it! How did I do? 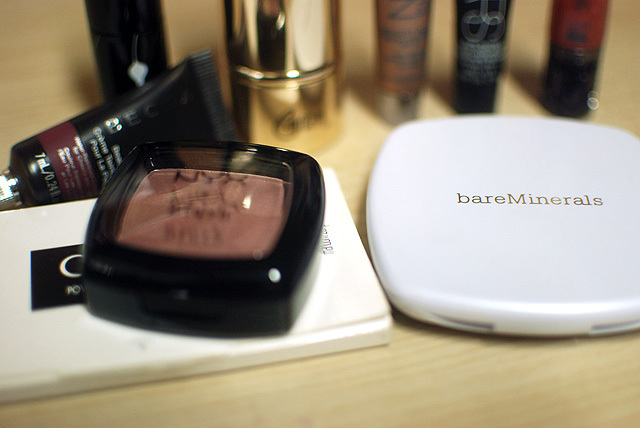 I think I could still drop the blush and the luminizer (and in effect the kabuki brush as well), but we’ll see. 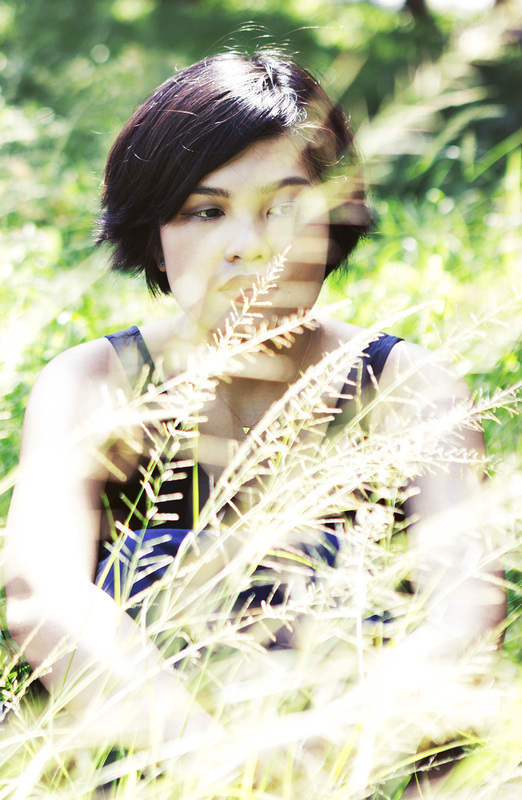 I want to do a post-trip update on what I ended up using, though. What would you have brought on a similar trip and situation? 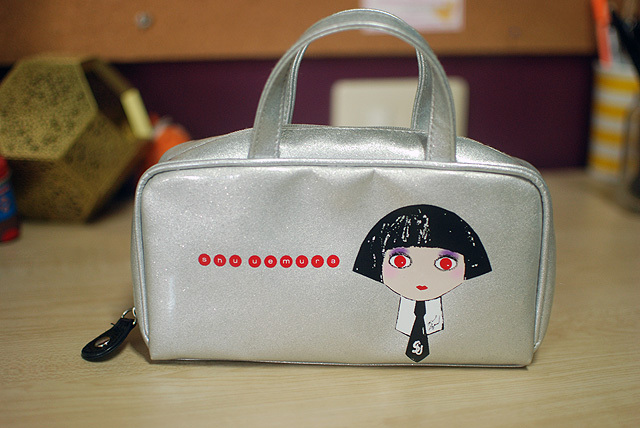 I love your little Mon Shu Bag… where did you get it? Thank you! 🙂 I wish I brought just that because it did a good job and I used it more than I used my other brushes. Haha! I liked to keep it simple apparently. Thank you! I think it’s also because I know I’ll be buying makeup there 😀 Thank you! fun!! 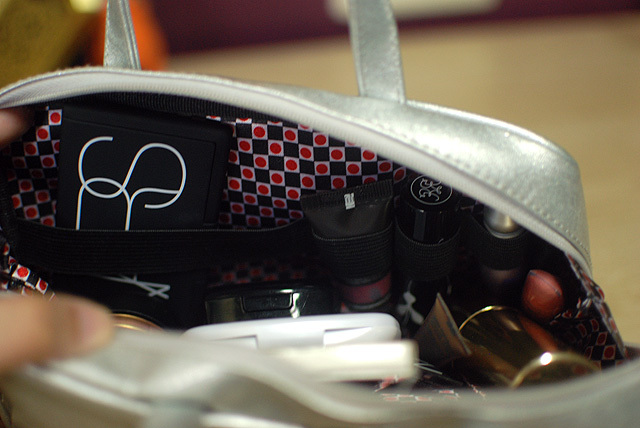 I love seeing travel makeup bags! PS nars tm is like one of my favorite things ever 🙂 i have a few sample sized tubes to go through too, on top of the full sized. thanks for reminding me i need to pack that when i travel in may!